Steffi de Jong is a post-doctoral researcher at the University of Cologne’s Institute for Contemporary History. She obtained her doctorate from the Norwegian University of Science and Technology in Trondheim and has held positions at the Humboldt-Universität in Berlin and Maastricht University. Her publications include articles in the International Handbook of Museum Studies and WerkstattGeschichte. 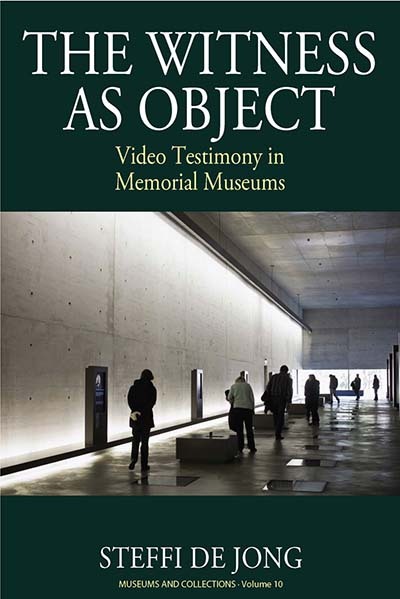 The Witness as Object by Steffi de Jong is available open access under a Creative Commons Attribution-NonCommercial-NoDerivatives 4.0 International License (CC BY-NC-ND 4.0) with support from Knowledge Unlatched.